Location: Approximately 0. 5 miles north of the Nashua town line. 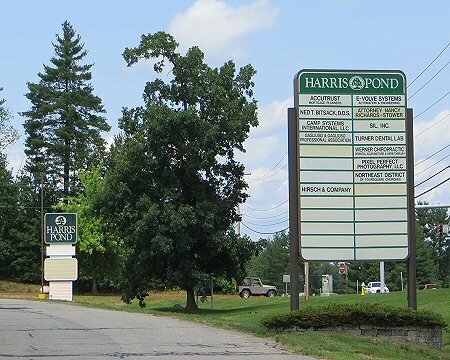 The property is approximately 2 Miles from either exit 7E or Exit 10 of the Everett Turnpike. Unit 32: 8 - 979 +/- square feet – small first floor office unit -- two private offices, conference room and open work area. Unit 32: 14-15 - 3,086 +/- square feet -- second floor suite with multiple private offices, can be subdivided. 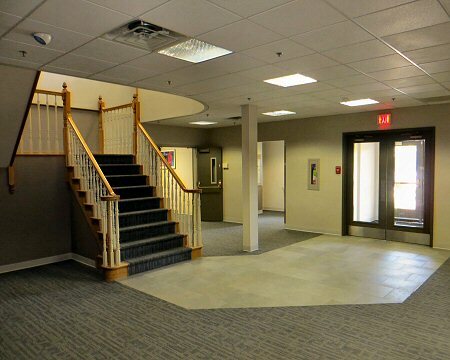 Unit 32: 17 - 1,014 +/- square feet -- second floor suite with two private offices, work room and large reception area. 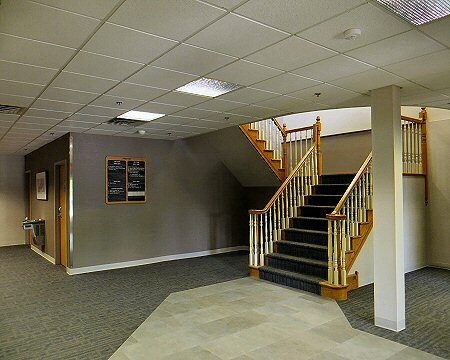 Unit 32: 22 - 3,437 +/- square feet -- corner office suite on second floor with several private offices. 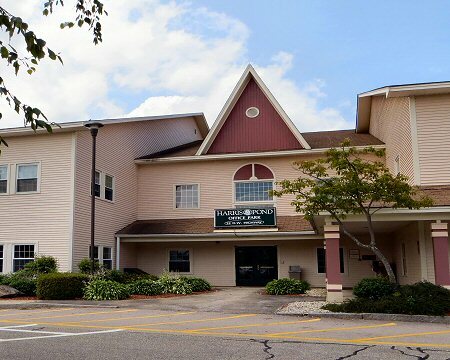 Unit 32: 23-24 - 3,964 +/- square feet -- second floor office suite with several private offices, training area, conference room, kitchen & reception area. Unit 32: 26 – 2,080 +/- square feet – 1st floor suite with direct entry. Formerly used as a photography studio. Utilities: Natural gas heat, electric air conditioning, municipal water and sewer. Heating/Air Conditioning: Roof-top, gas-fired heating/electric/air conditioning units. Operating Expenses: Each tenant will pay its pro rata share of the increase in costs of real estate taxes and interior/exterior common area operating expenses over those incurred in the "base year" or initial twelve months of the lease term. Rental Rate: $10.00-$11.00 per rentable square foot, plus utilities and office janitorial. 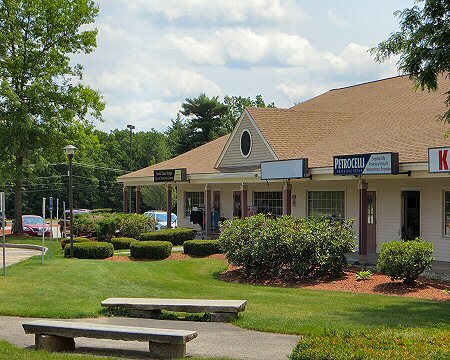 Location: On Daniel Webster Highway (Route 3) in Merrimack approximately 0.5 miles north of the Nashua line. 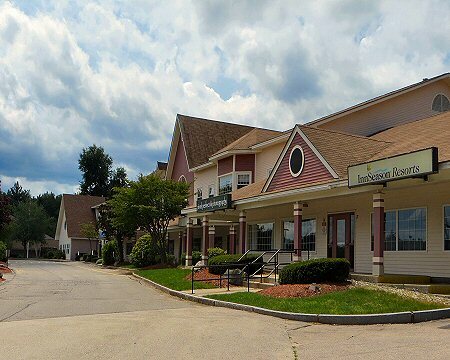 The property is approximately 2 miles from either Exit 7E or Exit 10 of the Everett Turnpike. Description: 32:8 Two private offices, conference room & open work area. 32:9,10,11,12,25 Space can be subdivided: maximum contiguous: 13,757, minimum divisible: 3,641, First floor suite with private entry, restrooms, multiple private offices & conference rooms, large open work area, & kitchen, etc. 32:12 Bright Office. Three private offices, conference room, kitchen, etc. 32:17 Two private offices, open work area, and kitchen. 32:19 Unfinished, owner will partition & finish for tenant. 32:22 Numerous private offices/conference rooms, etc. 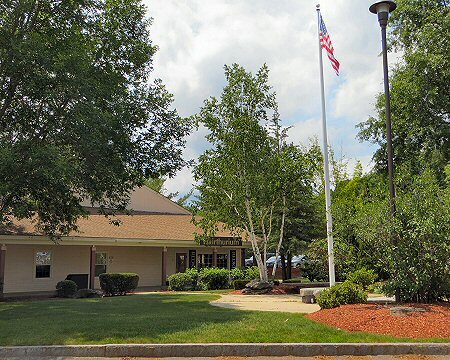 Utilities: Natural gas heat, electric air conditioning, municipal water and sewer, town water and sewer. Rental Rate: $12.00 per rentable square foot plus utilities and office cleaning. Operating Expense: Tenant will pay its pro rata share of increases in costs above expenses incurred by the owner during the initial lease year.